Set your writing ablaze with Sailor Yodaki. 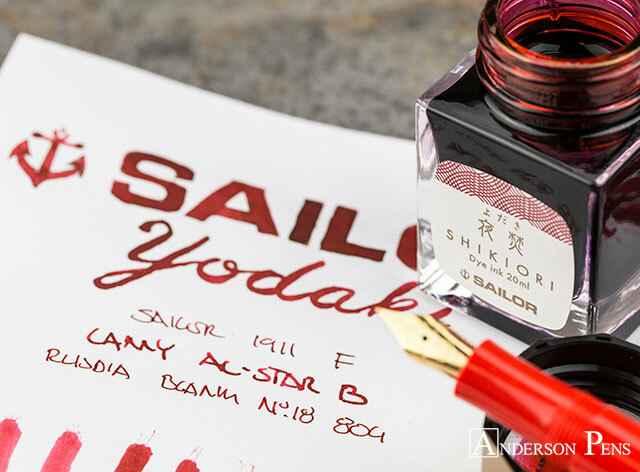 Yodaki is an outstanding new red ink from Sailor’s already great lineup of Shikiori inks. 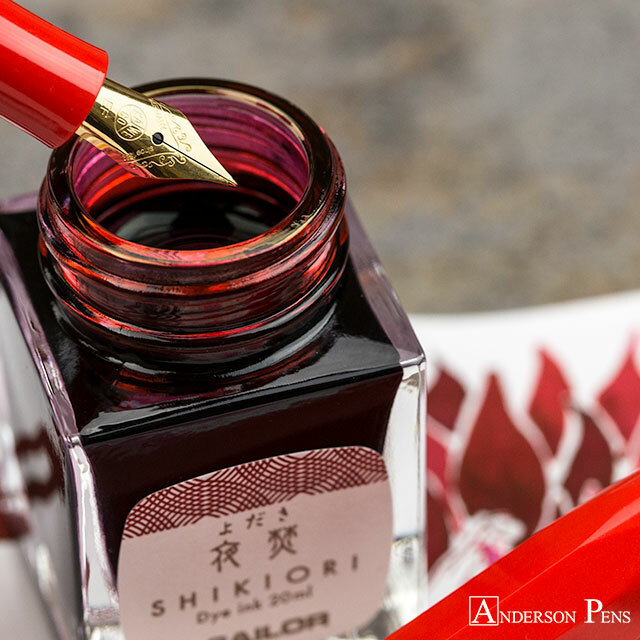 The name roughly translates to ‘night fire’ and I confess that this ink has quickly become one of my favorite reds. It comes in Sailor’s new 20ml glass rectangular bottle that, despite its size, is easy from which to fill a pen. This review was done with a Sailor 1911 F, Lamy AL-Star B and on Rhodia blank No.18 paper. 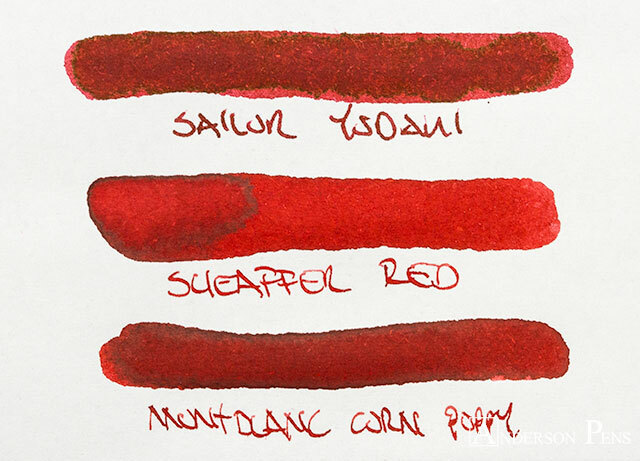 Sheaffer red has always been my go-to red ink recommendation, but Yodaki might just eke out the top spot. 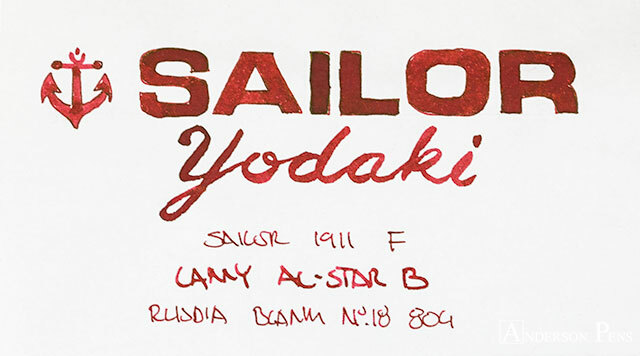 While not a fire truck red, Yodaki is an outstanding true red that leans to the darker side. 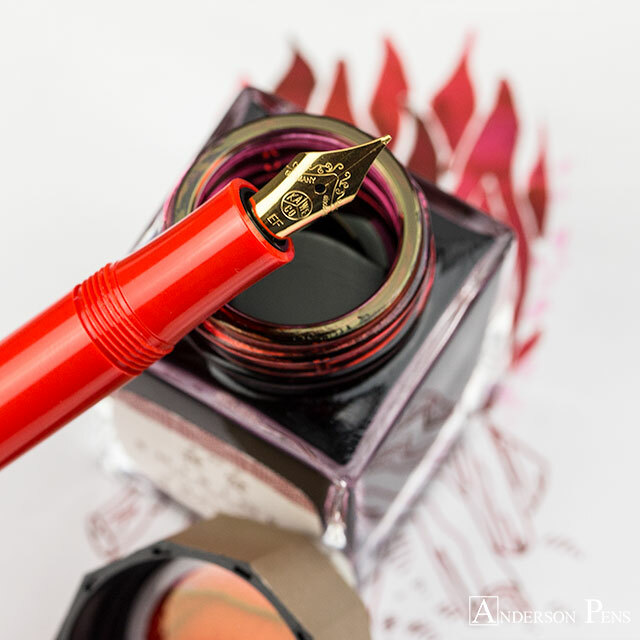 In a fine nib there isn’t much shading, which tends to give the ink a darker rusty red appearance. 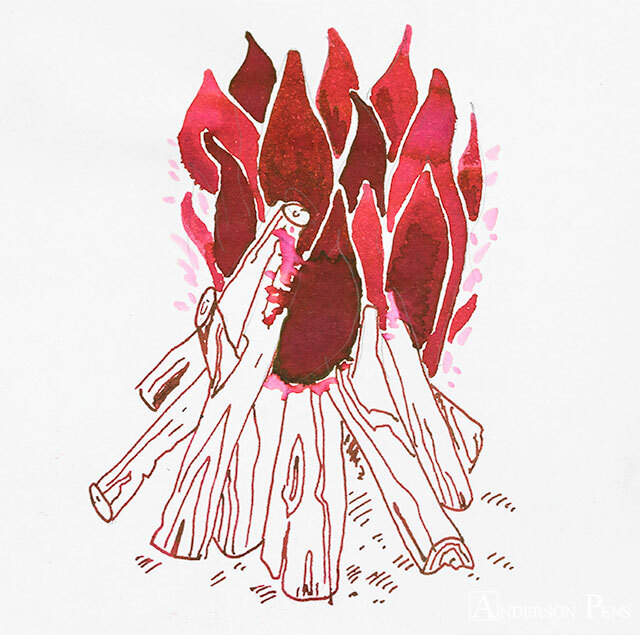 In a broad nib the shading brings out lighter true red tones that shade into a darker blood red. With a broad enough nib on a nice paper the ink produces some outstanding gold sheen. 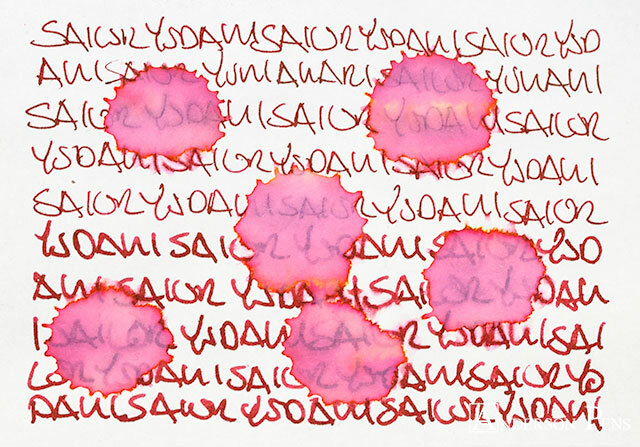 In addition to great color, Yodaki has all the outstanding properties for which Sailor inks are known. It has excellent flow with no feathering or bleedthrough on Rhodia paper. While being a moderate to highly saturated ink, Yodaki still had good dry times at 20-30 seconds. While the ink had little water resistance, clean up was easy. If you like red and you like sheen, then Yodaki is a no brainer. 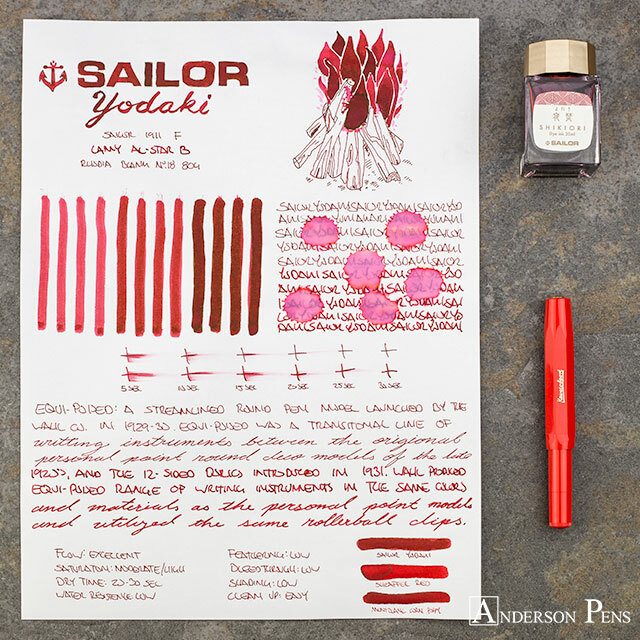 For those of you who think Sheaffer red is a little bright, Yodaki is a must try. 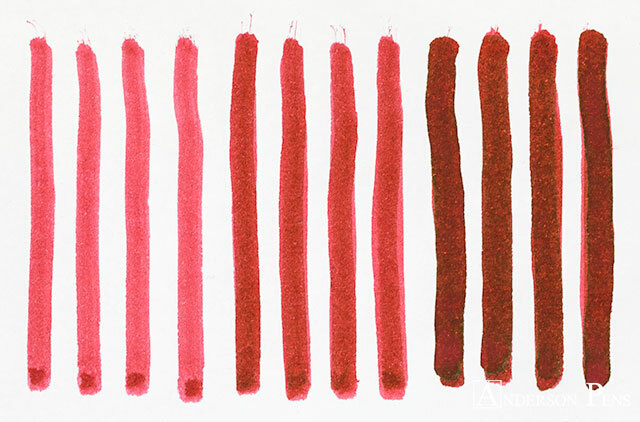 This ink has completely won me over, and that’s coming from someone who usually steers clear of red inks. This entry was posted in Ink, Ink Reviews, thINKthursday and tagged ink, ink review, Kaweco, Sailor, Sailor Ink, thINKthursday. Bookmark the permalink.